Dr Khatri is an interventional cardiologist. He is highly experienced in the fields of coronary angiography, angioplasty and stenting, carotid angiography, angioplasty and stenting and PFO and ASD closures. 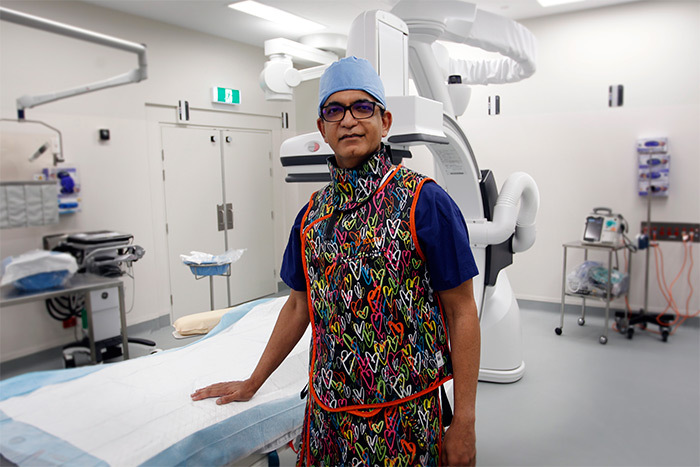 Dr Shailesh Khatri came to Australia from Fiji in 1983 where he completed his secondary education and gained a medical degree from the University of Queensland. He was registered as a medical practitioner in 1990. His cardiology training was undertaken at The Royal Brisbane Hospital, Prince Charles Hospital in Brisbane and John Hunter Hospital in Newcastle. He completed a Fellowship in Interventional Cardiology at St. Paul's Hospital in Vancouver, Canada in 2001. During this time, he performed over 1200 procedures. Dr Khatri is a Fellow of the Royal Australasian College of Physicians, a Fellow of the Cardiac Society of Australia and New Zealand, a Member of the Society of Cardiac Angiography and Interventions, and a Member of The Australian Medical Association. (AMA). 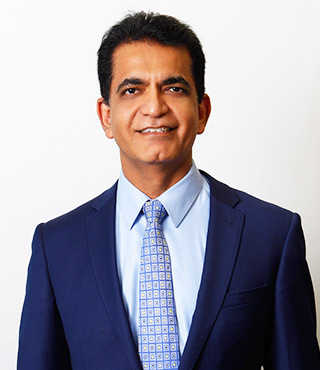 Dr Khatri is committed to providing the highest quality medical care to his patients and provides a 24-hour cardiology service to the Gold Coast. People suffer cardiac emergencies at any time of the day and night, and these patients are always given priority treatment. Dr Khatri has admitting rights to Pindara and John Flynn Private Hospitals. Dr Khatri is committed to providing quality care to the very highest standard. He is also actively involved with post-graduate education and audit programs on the Gold Coast and in Brisbane. He regularly participates in training programs both in Australia and Overseas.